It is strange to publish weekly summary like another article after a week, but in general, that is nothing bad. During the previous week, I declined three listing requests from administrators, and I know that everyone will benefit if there will be less, but more quality projects on DavidNews.com instead of quick scams. Yes, I also have not published review of one project, but it will be done most likely later today or within tomorrow, so stay here because DavidNews.com is the biggest HYIP blog for English reading audience. Listing requests from Three Bitcoin and Daniel Johns were declined, do not join these projects. It is nothing new if I will say that this is one of the top HYIP projects of these days. Yes, people that invested together with me are enjoying healthy profit and best of all - project keeps developing all the time. The popularity of this project is growing, and that is what we need in the case to keep receiving payments from our investments. We are growing and developing all the time and now we make the next step. Our website is now translated into Portuguese and we hope that it will be more convenient for investors from Brazil and Portugal to browse our website. If you are still not a participant in our program, then we strongly recommend that you join us right away, as this is potentially a once-in-a-lifetime opportunity that will allow you to significantly increase your capital. We assure you that nowhere else will you find such a good opportunity to increase your capital several times, even ten times over! During previous week administration again added new language localization. This time, we are talking about The Portuguese language what is one of the widely used languages in the world. Additionally, from that project, just continued to work as stable as before. When it comes to creativity than without doubt, I can say that this administrator is one of the most creative birds that you can find for now listed on DavidNews.com HYIP monitor. For now, the project is online already 24 days, and early investors start to enjoy pure profit with this online game. Also, this project steadily is improving, and more about latest improvements read below. - Additional payment processors were added. Now you can get your bitcoins grow by directly purchasing it with Payeer, Perfect Money... and more will come. Just click "I don't have Bitcoins, need something else..." while you purchasing it. You'll be able to automatically put your money in your Secret Place even if you don't have your own cryptocurrency. Note that profits will be paid at the bitcoin address you attached. Like a profitable exchanger. - Secret Panel improvements. I got some feedback from you that we have to make it more informative. Now your panel is more functional, and on each section, you'll see some additional information. Convenient. Eye candy. It's all good, sure. But let's get straight to the conversation. After you got your first cash, it will be a nice to talk about it. Today's topic will be "Why are we so crazy about money?" People really need cash, they have to buy stuff. But a majority of them are not capable to physiologically accept real wealth, big money. You might say that "I can grab as many I can carry!" but this problem is actually in our own minds. We think about money as something deeply physical, when we hold those papers, when we spend it. But it is just a mutual agreement that some particular piece of paper has some value. You'll never get rich when you have a value for the cash. Billionaires use money as a tool. They do not pray on it, they do not get attached to it. They feel nothing holding papers or giving them away. For them, cash is only an instrument with a dynamic level based on their own abilities working with it. You have to digitalize your income. It is extremely important to get rid of any attachments in your financial relationships. Numbers are easier to work with. You don't cry when you spend it, you'll never feel set back when you pay for your house with "pixels" on the screen but not black bag filled with fresh US dollars. Try to work with Bitcoin as a regular basis. You'll see that it is much easier to earn 1 BTC online, then 450$ cash. :) Funny but it works. But what about taxes? When you get your yearly salary within a month, you don't want to share a bit with a government! Do you want to become stealth and spend YOUR Bitcoins? Use www.Darkwallet.is technology. Nobody gonna find your billions. So, the biggest updates these days are - now you can also invest with Payeer and Perfect Money. I do not know if these payment options will be as attractive as Bitcoin what is widely used in this game, but surely they will attract some additional members to this game. Additionally, administration informs that there are some fresh updates in account section what you will be able to enjoy. This is the newest project of long-term HYIP administrator that previously have operated some magnificent HYIPs. Of course, it is too early to say if this one will come out as a success story because the project is online (actually longer, but it was laying low for a long time). a little bit less than 70 days. In any case - I hope to see some good results here because investment plans are different, but administrator previously has proven that he plays fair and allow investors to make profits. Dear investors, After receiving a large number of requests from you we have decided to make a series of changes to our investment contracts. Unit 0: The maximum deposit for this contract has been reduced to $19.99. The plan's term has been increased to 15 days. Unit A: The minimum deposit for this contract has been reduced to $20. The plan's term has been increased to 50 days. Unit B: This plan's term has increased to 95 days. Unit C: This plan's term has increased to 130 days. Unit D: This plan's term has increased to 180 days. Unit E: This plan's term has increased to 230 days. Unit F: This plan's term has reduced to 100 days. VIP: This plan's term has reduced to 100 days. These changes will take effect on February 15. Thank you for sharing your preferences with us. We're eager to bring them to life. The administrator will do various changes to this investment project and briefly informs us that some investment terms has been shortened, but some increased. These changes will take effect on February 15th. Nothing else apart that was not said. As you know this is latest added project on DavidNews.com, but overall this project is not that fresh, and it is well known among HYIP industry players. I like that administrator of this project is hard-worker and keeps updating this project constantly, just check out the work that he has done previous week below. Recently, we have seen a sharp influx of users from Brazil, Portugal, and Angola. We have added a Portuguese version of our website in order to make the use of our website more comfortable for investors from those countries. We have integrated with SolidTrust Pay, although payments are done manually at the moment. After approval from the payment system’s administrators, top-ups and cash-outs will become automatic. Users from Vietnam are very active users, not only in investing, but also in referring their friends. In order to ease the process of familiarization and orientation on the website, we had it translated into Vietnamese. As we are getting many new investors and partners from Europe, we have enabled support for investments in euros via the Perfect Money system. As you can see Portuguese and Vietnamese languages have been added, new payment processor has been added, and that is done just in few days. Apart from these additions project continues to work as it was working previously and I'm encouraged to see what will happen within upcoming week. 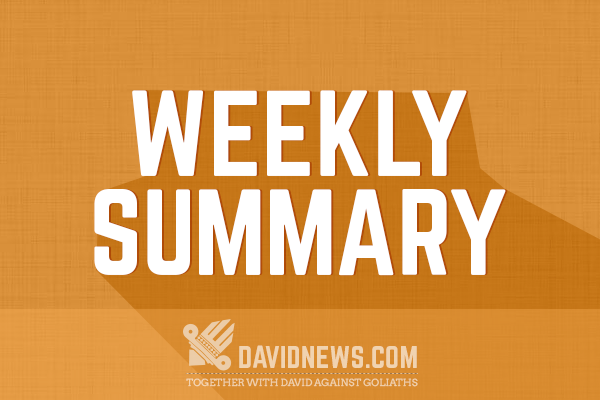 Yes, this is all information about the previous week, and I'm happy that I was able to report this much if we compare this weekly summary article with previous one. As usually, I would like to remind that if you have something to say to others turn on chat and post your thoughts over there. Have a successful week for investments! If you're in search of the #1 Bitcoin ad network, take a peek at MellowAds. I would suggest that you stick with the highest ranking Forex broker. From my experience the ultimate Bitcoin exchange company is CoinMama. If you're trying to buy bitcoins online, PAXFUL is the best source for bitcoins as it allows buying bitcoins by 100's of payment methods, such as MoneyGram, Western Union, PayPal, Visa, MasterCard, American Express and even converting your gift cards for bitcoins.